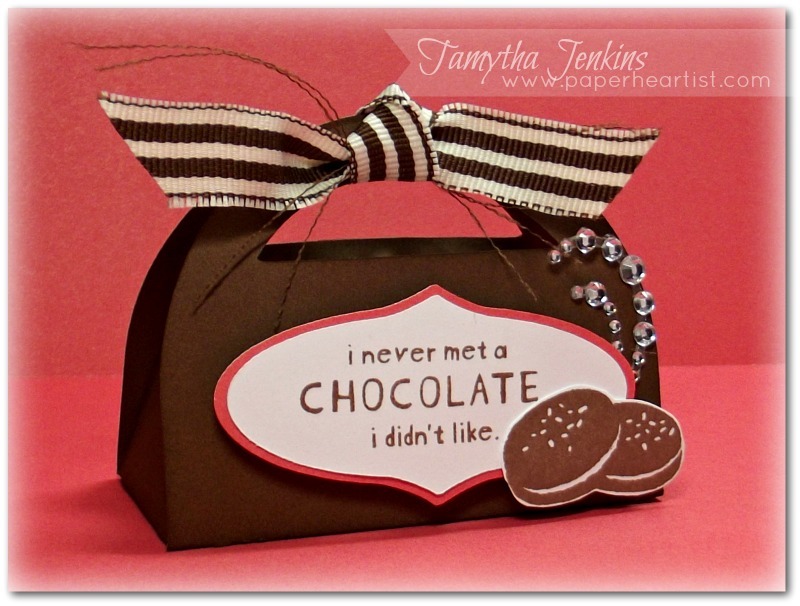 Paper HeARTIST: August Stamp of the Month...."A Chocolate Affair"
With over 50 participants, you are surely to find wonderful inspiration through this blog hop. It makes a circle so if you are starting here just continue until you make your way back and you will have made it through them all. If you have already started and are coming from Melissa Laverty's blog, "Fancy Melissa", then you are on the right track. I chose to make, what else but a chocolate treat holder? I recently held my open house and thought this would be a great little make-n-take. I laid out all the parts in the Cricut Craft Room using my Cricut Artiste cartridge and it couldn't have been easier. It's pretty straight forward. After cutting all the pieces on my Cricut, I inked the edges of the Chocolate cardstock with Chocolate ink. Next I stamped the sentiment on the White Daisy mat and layered it with a slightly larger Smoothie mat and adhered them to the box with foam tape. Next, I stamped the cookies on a scrap piece of White Daisy cardstock, trimmed and adhered with foam tape. Afterwards, I added a little bling behind the mats, actually cutting the smaller of the two bling strings, so that I could adhere it higher on the box. Finally, after adding four Hershey nuggets, I cut a piece of dark chocolate grosgrain ribbon in half and then cut the seam off the uncut side, fraying the edges before tying a simple knot to keep the box closed. If you have time, take a moment or two to check out the rest of my blog. If you enjoy your visit, then please consider "Following Me", signing up to receive blog updates, and/or leaving a comment (we all love comments...the nice ones anyway), then be sure to continue along on the hop by heading over to Melinda Everitt's blog, "If You Bling It...They Will Come" and check out her project. 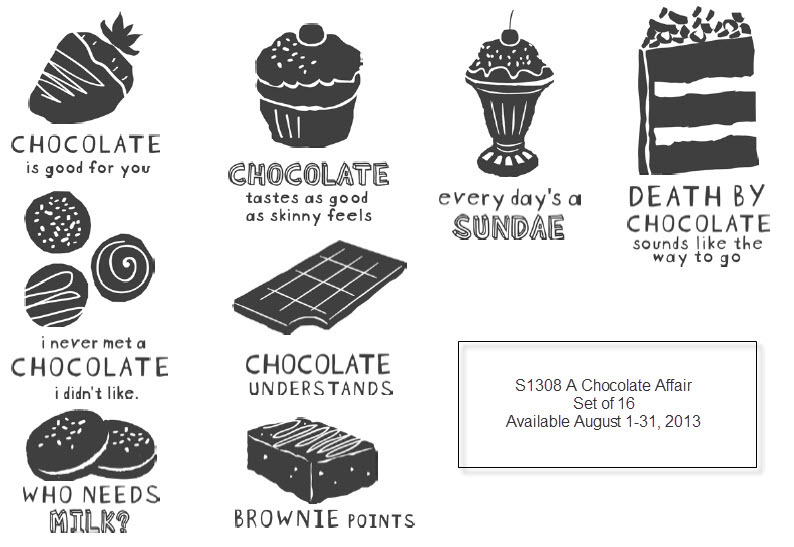 What a cute gift idea...everyone loves chocolate! An adorable little gift box. Elegant and yummy at the same time! Love this idea - Super sweet! Oh my. So cute. Love it. I love your project...and the frayed ribbon is AWESOME!!! A yummylicious little treat box and what girl can live without chocolate lol.